The Internet was invented in the early ’90s by Sir Tim Berners-Lee. That makes it about 20 years old. However, email is twice that age: over 40 years old! Invented by Ray Tomlinson in late 1971. The first software to actually organize email was invented in 1975, with commercial software appearing in 1976. 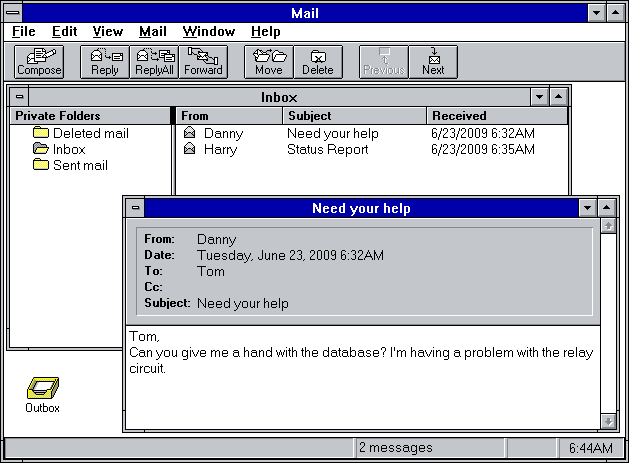 Later on, MS-DOS arrived, as well as Windows, with respective email clients. Last bit of email history: did you know that, before 1982, when MTAs could use TCP/IP to route email, they needed FTP to send and receive email? Never guessed that huh!